Great opportunity to own in West Park! This home is priced to sell! 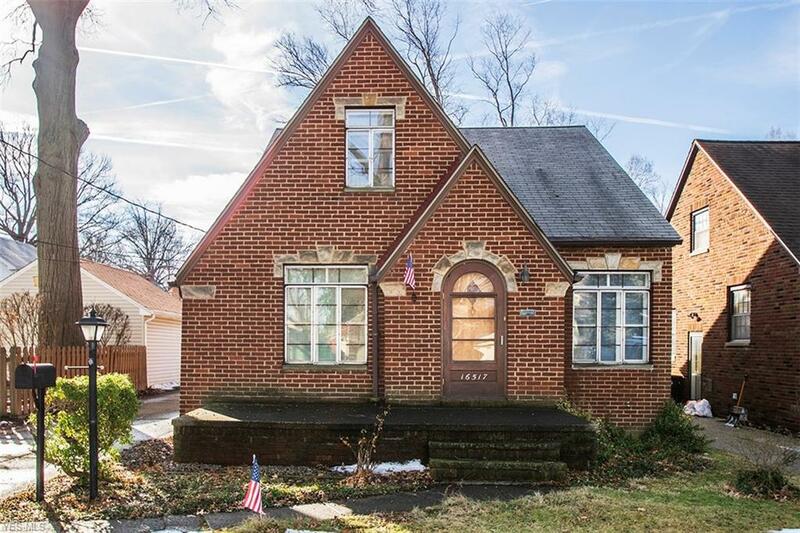 This Brick Cape Cod features: A living room with decorative fireplace, dining room with built-in leaded glass china cabinets, nice sized kitchen, two first floor bedrooms with ceiling fans, hardwood floors and full bath. Second floor features spacious master bedroom, half bath, bonus room that could be transformed into an office, or walk-in closet. Loads of storage space. Lower level with a paneled rec room, laundry room/utility room. One car detached garage and partially fenced-in yard. Bring your decorating ideas and handyman skills to bring this house back to life! Renovation financing available. Schedule your showing today.